Dear coffee lovers, we are very happy to present to you this post about women from the Isthmus of Tehuantepec Oaxaca. They are most commonly known as “Tehuanas” (pronounced “Tewuanas”) or “Istmeñas” (meaning “women from the Isthmus”). These women are an icon of the Mexican Culture and were the inspiration of Diego Rivera and Frida Kahlo. Tehuanas have been immortalized in Kahlo’s and Rivera’s paintings. We dedicate this post to Tehuana women because in Mexico Real Cafe women play a key role. Though Mexico Real’s Cafe Logo is represented by an Eagle Warrior, we have an important team made up of women who are the descendants of Tehuanas. These brave Mexican women have brought Mexico Real Cafe to your table in Europe and America. For this reason we want to thank our Mexican women for their passion, inspiration and hard work. A way to thank these talented women is by dedicating this post to their people, magical land and culture. To help you to locate the Isthmus of Tehuantepec on the world map, let us tell you that it is located in the state of Oaxaca in southern Mexico. The Isthmus of Tehuantepec represents the shortest distance between the Gulf of Mexico and the Pacific Ocean. The Isthmus of Tehuantepec is a rich region characterized by its natural wealth, tropical rainforests, biodiversity, beaches, and oil reserves. This region is made up of various villages whose inhabitants are Zapotec descendants. Tehuantepec means Jaguar Hill (in prehispanic language). Tehuanas, the women from the Isthmus of Tehuantepec, are an important icon of Mexican culture. Tehuanas are descendants of the Zapotec Culture and stand out from the rest of Mexican women. Frida Kahlo who is one of the most influential painters in world history and who was born in Mexico, was inspired by Tehuana women. Indeed at Mexico Real Cafe we are very proud to mention that Frida Kahlo has Tehuanas roots, that is Zapotec roots from her mother’s side. Kahlo’s mother whose name was Matilde Calderon was the daughter of a Zapotec descendant from Oaxaca. Here we present you Kahlo’s Mother wearing the traditional Tehuana dress when she was 7 years old, and her extended family. This explains why Frida Kahlo was inspired by Tehuana woman and her culture. Kahlo was inspired by the Tehuanas’ personality as well. Tehuana women are very independent, have strong and assertive personalities, are extroverted, have a proud spirit and have relatively equal relations with men. Tehuana women also play an important role in their families and economic life. Frida Kahlo also took from Tehuana women their colourful and beautiful dresses and immortalized Tehuana culture and folklore in her paintings, for example in her Self Portrait as a Tehuana in 1943. Traditional Tehuana dress consists of a shirt (called a huipil), and a full skirt. They are known for their vibrant colors and exquisite floral and geometric embroidery. For special occasions, Tehuana women wear a large white headdress called a resplandor. The outfit is complete with an elaborate necklace made of gold coins and gold filigree. Tehuanas also wear their hair in braids adorned with ribbons and flowers, as Kahlo portrays herself in her paintings. In the Isthmus of Tehuantepec, Tehuanas are the main income provider in the home. They organize the marketplace and lead their families. Indeed this region is ruled by matriarchy, which stands out from the rest of the country. In the rest of Mexico patriarchy and patrilineal families have prevailed insince prehispanic times and in the present. Since pre-columbian times until now, the marketplace in the Isthmus of Tehuantepec is completely dominated by women who offer textiles, handmade jewellery, folk art, and even iguana tamales. Men tend to work as farmers, fishers, or craft workers. Because Tehuana women organize the marketplace and specialize in selling, their income is often higher than men. Tehuana women start developing their selling skills like smiling, bargaining, haggling, and occasionally teasing, since their childhood when they start selling. Young Tehuana women tend to invest the savings they earn through their sales activities in gold (gold jewellery) which they wear and show off during velas, the traditional festive celebrations. During velas celebration Tehuana women wear their formal and luxury dresses and dance traditional songs like Llorrona, Naela, and la Sandunga (or Zandunga). Velas are lively traditional celebrations of the Isthmus of Tehuantepec. This festivity is characterized by its iconic music and traditional dances. Velas were originally religious festivities taking place in May and December. Today velas are festivities that gather people together to keep alive their traditions and strengthen their cultural identity. Regarding women’s economic power in the Isthmus of Tehuantepec region, women’s economic independence allows women certain important freedoms such as remaining unmarried or filing for a divorce. Jewellery among Tehuanas helps to show off their wealth and to catch men’s attention. Indeed in the region it is said that Tehuana women tend to choose the man they want to marry. These women start working since the time they are children and invest in gold to have the power to choose the man they want. The matriarchy, women’s economic influence and women’s economic independence have contributed to an atmosphere of respect and tolerance among men and women in the Tehuantepec isthmus. For all these reasons, the Zapotec culture has been considered as one of the most advanced cultures. Today Tehuana women who are Zapotec descendants have attracted international attention and recognition because of their beautiful Tehuana dresses which are a masterpiece of art and are considered an icon of the Mexican culture, their music, their beauty, folklore, celebrations and unconventional matriarchal organization. It is in this magical land of Tehuanas and the Zapotec Culture of Oaxaca, inspiration of Frida Kahlo, where our Pluma Mountain Arabica Coffee grows wild next to the Pacific Ocean. Our coffee is nurtured by the maritime breeze, environment, and traditions of this magical Zapotec culture. Every time you drink Mexico Real Cafe you are evoking the traditions, culture and mysticism of this exotic land. In Mexico Real Cafe we are happy and proud to share with our coffee lovers the best of Mexico. We take care of every single step of the process to transmit you the love of our Zapotec coffee growers from Oaxaca who love their land and coffee plants as if they have a soul. In Mexico Real Cafe we believe that each single coffee bean that you receive transmits you the best vibrations of our mexican ancient cultures, as these cultures are still alive in the Zapotec descendants who grow our Pluma Mountain Coffee, and in our land’s soul and the love with which each coffee tree is grown. You are welcome to continue visiting our blog and read the interesting posts that we have written for you about Mexican traditions, our ancient Mexican cultures like the Aztecs, Zapotec and Maya Cultures, our living traditions like the Day of the Dead, and artistic representation like Frida Kahlo’s paintings, Diego Rivera’s artwork etc. 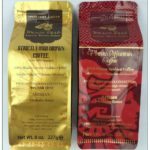 In Mexico Real’s Cafe blog you can also find many coffee recipes like Tequila coffee, Irish coffee, cafe de Olla (Mexican Style Coffee) and much more. There are also some posts about interesting coffee facts like the health benefits of coffee, and the influence of coffee in the world history.